It’s Halloweeen tiime! The freshmen and seniors spent Halloween together despite it being a cold and rainy night. We started off with a meal of ribs, rolls, mashed potatoes, and Popeyes chicken (taking advantage of that Tues special of course), and then made headway into the night with Halloween-It-to-Win-It team challenges! Afterwards, we branched out on campus with our teams to come up with the SCARIEST movie – because it’s not Halloween without one! 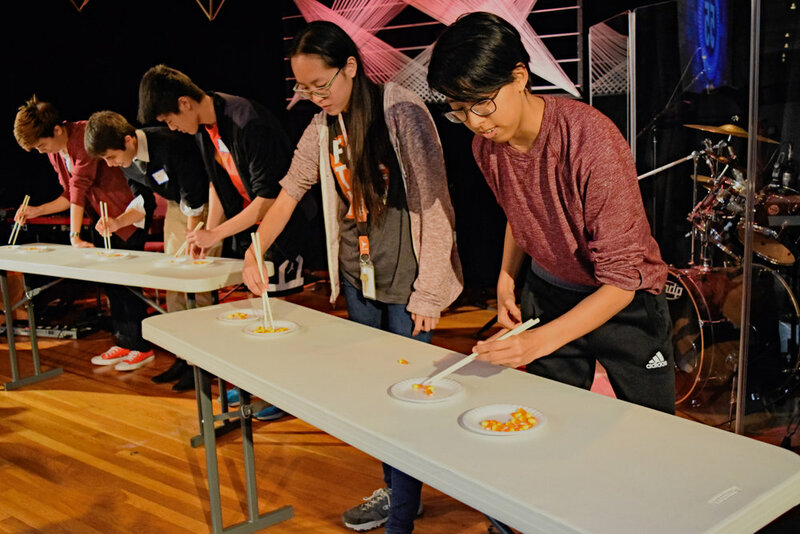 The cold and rainy weather was fitting for some of the movies that were made, and afterwards everyone chilled out at 405 – with the popcorn bar and apple bar, with people editing and pumpkin carving, and board gaming while we waited for a final showing of everyone’s spooky creations. The winner? A student whose mom finds out he made an 89 on his test...can’t escape the wrath of a tiger mom. Check out more pics from the event on our Flickr!